Lime scale is a white chalky deposit or stain, which is usually formed on the plumbing system by a combination of soap residues and hard water. Often it is easy to identify them as they leave ugly stains on faucets, taps, sinks, washing machines, boilers, kettles, tubs, central heating systems and so on. These stains usually become harder to clean and remove if they are allowed to form without addressing the problem in time. It is cheaper, much easier and less time consuming to prevent lime scale build up in your plumbing fixtures rather going through the descaling and removing process. 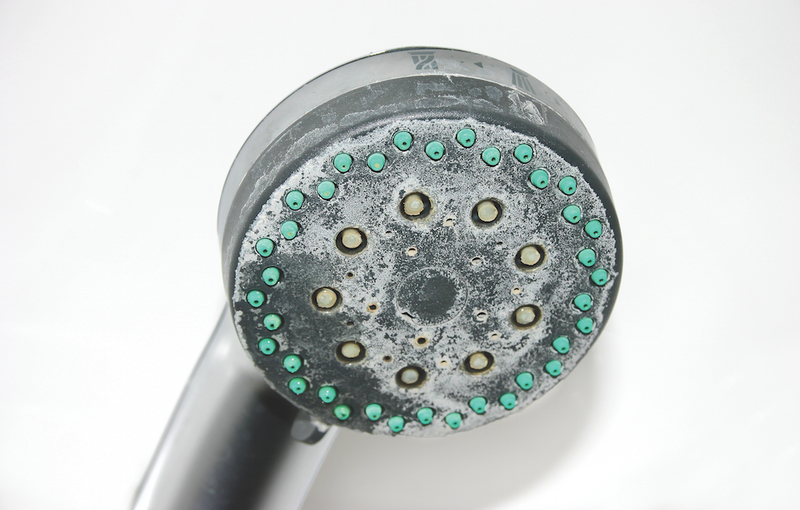 This article is going to look at methods on how to prevent lime scale in your plumbing fixtures. A water softener is a great way to prevent lime scale build up in your plumbing fixtures. This substance is available in forms of powder, gel, and tablets. You can use it along with your daily cleaning detergents or soaps as you carry on with your routine chores around the house. Water softeners usually work by bonding with the minerals found in water dissolving them before they cause harm or damage to your plumbing fixtures and other appliances. A water filter is another essential way that you can use to remove unwanted minerals that are found in hard water. Filters are like cartridges and they come in similar form, which can be replaced or changed from time to time according to the expiry date of the specific piece you get. Water filters can be installed on faucets and taps to filter out the magnesium and calcium concentrates high content from water, which are the main culprits for the lime scale formation. A descaler system and a magnetic water conditioner is another method that prevents the formation of lime scale traces on plumbing fixtures in the entire water system. This method operates through a system that is installed and attached to the main water supplying pipe of the entire household. This method starts to work immediately after it is successfully installed saving you the costs of repairs and appliances replacement. The descaler and conditioner system works through magnetizing the water together keeping them in suspension to prevent accumulation on pipe walls and other related surfaces. The magnetic field built by this method also cleans the existing lime scale traces or stains in the water system and softens it. Another preventive measure that you can use to prevent lime scale formation is to use a mixture of vinegar and lemon juice solution in your appliances. You can flush appliances such as coffee machines, kettles, espresso machines and so on from time to time to combat any kind of lime scale build up. To wrap up the loose ends, it is worth to mention that repairing plumbing fixtures and replacing home appliances can be an expensive affair, so it is necessary to take into account the precautionary measures to avoid them. Ensure you close check your water pipes, appliances and other vulnerable surfaces for any lime scale deposits build up, to prevent further plumbing complications down the line. This entry was posted in Plumbing Services by Whit Kinser. Bookmark the permalink.